We know your needs are unique. With ReSound Verso TS your hearing solution will be too. ReSound Verso TS comes in the widest range of models – so it’s easy to choose one that fits your lifestyle and hearing loss. All ReSound Verso TS hearing aids are coated inside and out with iSolate™ nanotech to protect against moisture and ensure great durability. 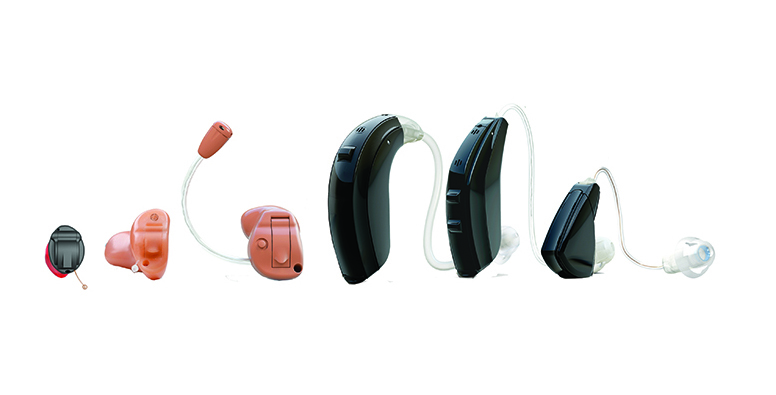 They also come with wireless connectivity options, which means that you can stream sound directly from TV, phone and other audio devices using ReSound Unite™ accessories – for a complete hearing system. Why wait until tomorrow? If you suspect you have tinnitus – possibly combined with a hearing loss – it’s important to do something about it. The first thing to do is to contact your local hearing care specialist to schedule an appointment. A hearing consultation usually takes less than an hour. And you’re very welcome to bring a friend or family member. The hearing care specialist will talk to you about your tinnitus and/or hearing difficulties, examine your ears, and run some tests. All of this is very straightforward and completely painless. Once your consultation is over, you’ll have a clear idea of whether you have tinnitus, how severe it is, and how it can be helped. To learn more about what happens at a hearing test, please go to our visiting a professional page.